This post originally appeared on Toolbox: Coffee, Tea and Icecream. As the Melbourne International Coffee Expo draws to a close, the coffee conversations and communication channels remain. In light of MICE, this article reflects upon three key challenges of communicating about origin/coffee. First, how the presentation and preparation of coffee communicates the story behind the product. Second, your communication channels needs to be agile and you need to listen to consumers changing preferences. Three, the definition and use of specialty coffee is a description and does not always add values to all lives involved in the supply chain. This is a challenge because in an industry where profits are higher through “masks and mirrors” there is communication barrier. In communicating the origins of coffee, the exporter, importer, roaster and barista have a key role to play. If any one of the actors “drops the ball” then this has a significant impact on the communicated value of the end product. If the coffee is misrepresented (be it to the roaster/café/barista/consumer) and not prepared correctly, then this will have an impact on the perceived value of the coffee and how much consumers are willing to pay for it. Indeed, the brand is devaluated and the steps in preparing the coffee are not highlighted. 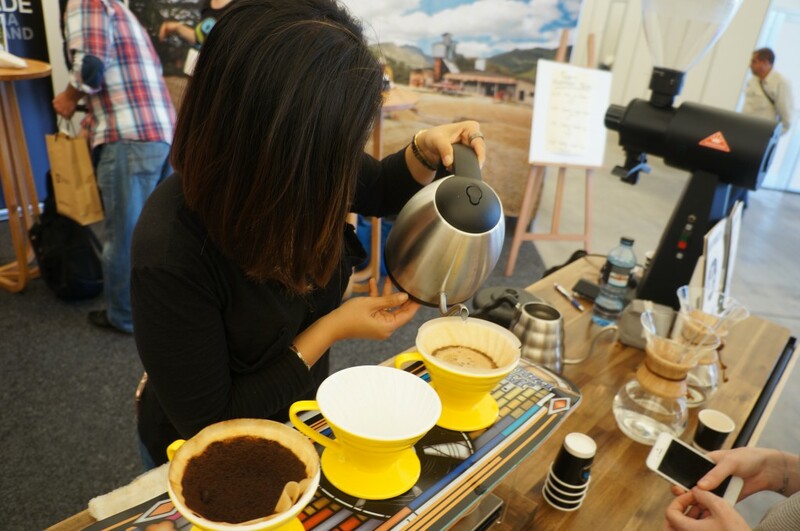 Hannah Cho preparing filter coffee at the Melbourne International Coffee Expo. The importance of communicating coffee is not just verbal. But also highlighted in the coffee itself – this importance is supported by Aida Batlle (award winning Salvadorian COE producer) undertaking a barista course because she knows that no matter how good her coffees are, if they are not prepared well – then her product is wasted. The very nature of working within a business (of which coffee is), is that the market evolves and consumer preferences change, and to remain relevant you need to adjust and communicate accordingly. In the 1980’s, in an effort to differentiate itself from Brazil (as Colombia and Brazil could produce coffee all year round) -the leading Colombian coffee association, Café de Colombia used Juan Valdez to pioneer a successful marketing program. Juan Valdez was a Colombian character that represented the ideals of Colombia, the hard working, dedicated and family oriented head of a small plantation. In pioneering this marketing program, Colombia was able to differentiate itself away from a “quantity focussed” Brazilian coffee industry. A brand Brazil still suffers from (in the specialty coffee sphere). 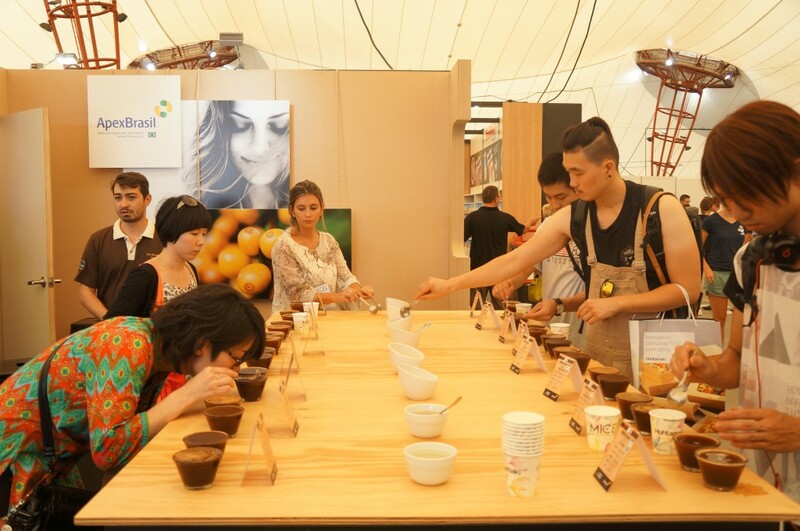 Cupping at the Melbourne International Coffee Expo. However, as the demand for high quality coffee increased; so was the movement to higher quality coffee in Brazil. In 1991, the Brazil Specialty Coffee Association was created with a purpose to increase investment in high quality coffee, bring more alignment between the external and internal markets, as well as the environmental sustainability of coffee. The challenge currently is that from its historical reputation, Brazil suffers from a perception of being a quantity over quality coffee producing origin. The positive is, is that as demand for specialty coffee increases, more and more roasters/importers are opening up to tasting Brazils and they realise that the prejudice of quantity over quality is no longer entirely true. 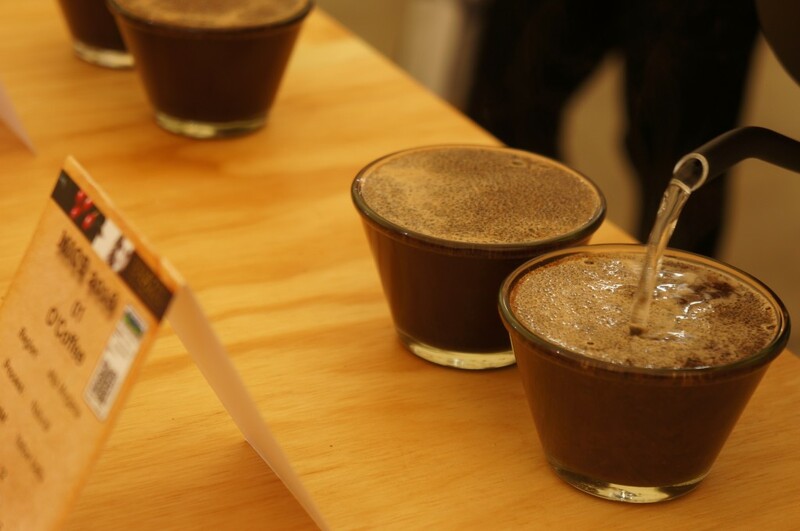 In its effort and reaction to the market, the BSCA in exhibiting at trade shows and partnering with local based importers, is making good stead in promoting Brazil’s Specialty Coffee to the international market. Indeed, the BSCA is good example of how an origin association has reacted to the international market and has changed the way it communicates. 3. But what is specialty? In an effort for all actors within the specialty coffee chain to communicate value, the industry has used quality as the benchmark to encourage consumers and purchasers to pay premium prices (ie higher cup scores attract higher prices). 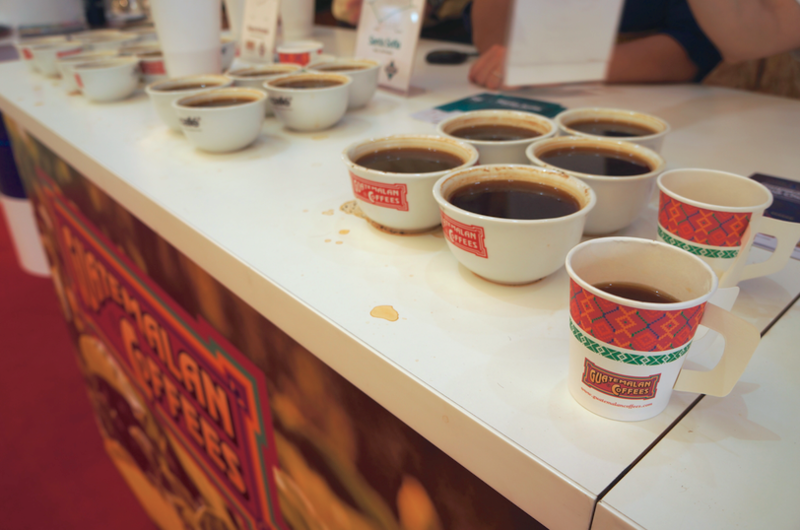 Cupping at the Cafe De Guatemala stand at the Melbourne International Coffee Expo. I would argue no. There is no one size fits all approach – but the distribution of revenue/profits, may not reach the intended recipient (it may be swallowed up by exporters/ importers / roasters) and there is no one to police this. The challenge is that the communication of specialty coffee has fallen far from its ideals. Where individuals in the supply chain have an incentive to keep some things “secret” as it profits from the lack of knowledge of the next users/ and consumers. In reality we need better-educated consumers that questions where their coffee comes from and how it is sourced, and a market that demands “a coffee that delivers on all counts and adds value to the lives and livelihoods.” The bright side is that roasters/ importers focussed on relationship coffee are indeed moving us in the right direction. Article written by Karyan Ng, featured on Coffee, Tea & Icecream Toolbox affiliated with Asia’s Coffee, Tea and Icecream Magazine.